Three American Airlines executive are retiring or resigning as part of the airline’s effort to restructure. 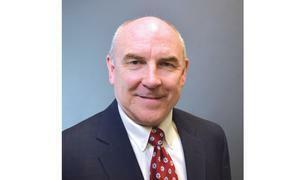 Robert W. Reding, executive vice president of operations, and Mark L. Burdette, vice president of employee relations, are retiring as of Dec. 31. Monte Ford, senior vice president and chief information officer, is resigning as of Dec. 31. The airline also announced the appointment of a chief restructuring officer, Beverly Goulet, who will continue as vice president of corporate development and treasurer. James B. Ream will succeed Reding as senior vice president of operations in addition to his current role of overseeing maintenance and engineering. Denise Lynn, now vice president of flight service, will become vice president, employee relations. Maya Leibman, now president of AAdvantage, will be promoted to senior vice president and CIO. Tom Horton, chairman and chief executive officer of American, praised the outgoing officers and said that American is fortunate to have many talented leaders able to “fill some big shoes during a very critical time.” American filed for Chapter 11 bankruptcy protection last week.